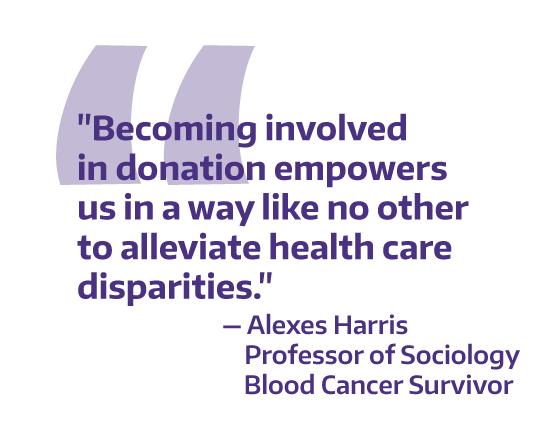 Welcome to the home page for the University of Washington’s partnership with Be the Match. 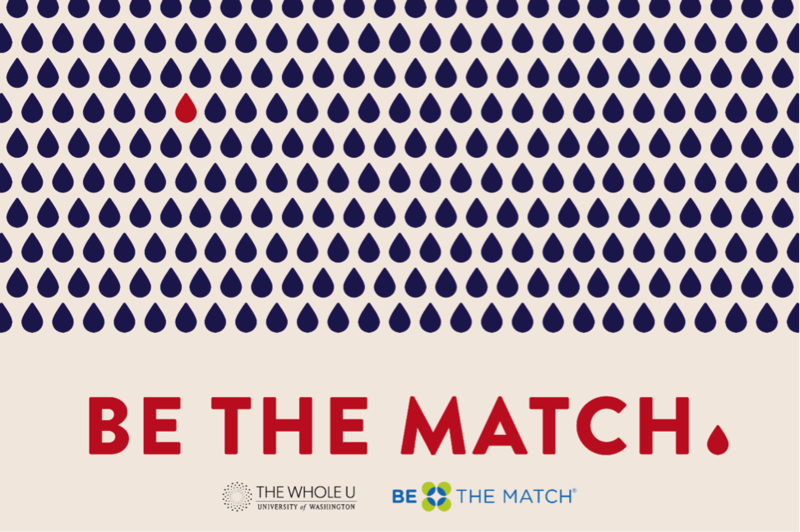 We are excited to spread the Be the Match mission across campus and provide programming that educates on marrow disparities as well as advocates for more registrants! Check out what is planned on campus, sign up to be more involved, read about past events, and learn about why this partnership is essential to bridging registry gaps. Hear other UW faculty, staff, and students—including Joe Grojean and Alexes Harris—speak about their experiences with rare blood cancers as patients and donors on April 17 at the HUB. Register here. Interested in helping us reach your social circles on campus? Let us know here! Be one of the first 2,500 to join the registry! Join the Be the Match RSO on campus! Support Be the Match through the UW Combined Fund Drive. 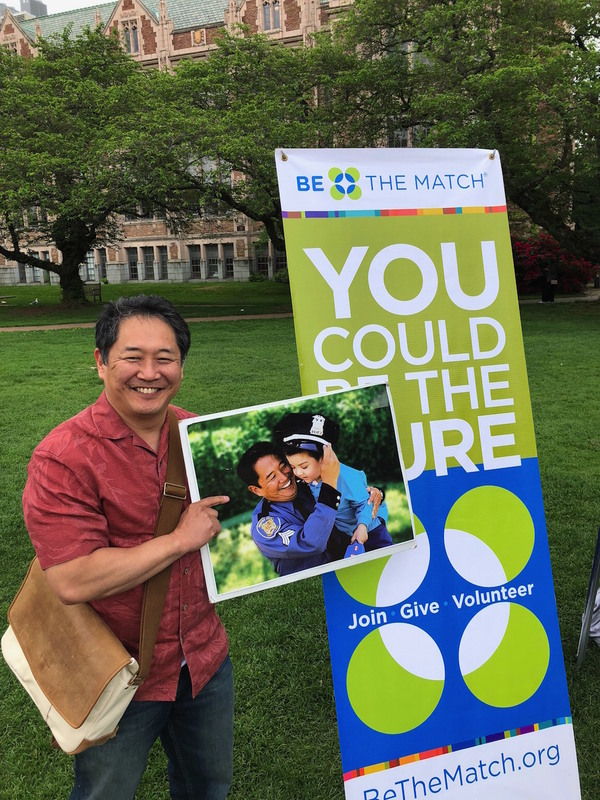 The University of Washington is proud to be a community partner with Be the Match, an education, research and advocacy organization managing the world’s largest marrow registry. 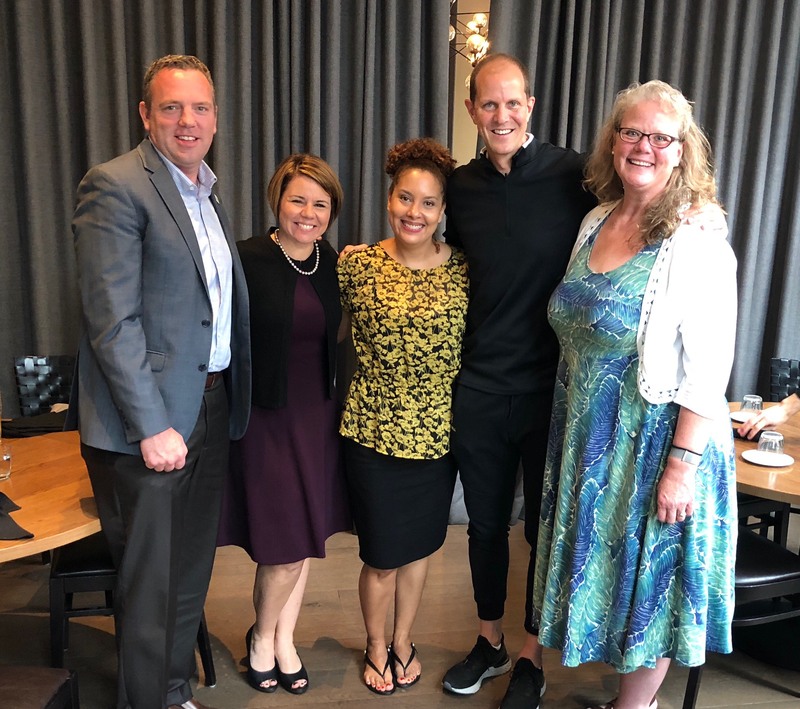 This partnership bridges the University-wide Population Health and Race and Equity Initiatives. Our aim is to improve the life chances and quality of life for people with cancer and over 100 other diseases. In particular, we aim to encourage people of color, particularly those with mixed-ancestries to become potential donors as part of our commitment to growing and diversifying the registry’s pool of potential donors—increasing peoples’ chances of finding a match. In 2018 and 2019, the UW will offer many opportunities to get involved in this partnership within the UW community, educating people about the life-saving process of marrow donation and how it helps save lives around the world. The Whole U is proud to help facilitate this partnership and got things started on Monday, November 5 by hosting a Be the Match Kickoff Event in the HUB South Ballroom attended by more than 450 staff, students, and faculty. With a welcome and introduction from UW Provost Mark Richards, the evening featured a screening of Mixed Match, an acclaimed documentary that tells the stories of mixed race blood cancer patients who are forced to reflect on their multiracial identities and complex genetics as they struggle with a nearly impossible search to find marrow donors. The film was followed by a panel discussion on race in medicine and the process of marrow donation with experts from UW Medicine and the wider Seattle medical community weighing in. This is a bold, new partnership, but one with deep ties to the UW community. Research and treatment done in collaboration between the Fred Hutchinson Cancer Research Center and the UW—including one of the first live marrow transplants—was integral to the establishment of the first marrow registry. As the first institution to be a community supporter of Be The Match, the University of Washington is excited to continue to serve in this life-saving mission. More recently, in May 2016, UW professor of sociology Alexes Harris was diagnosed with a rare blood cancer and soon learned that a marrow or stem cell transplant would be her only hope of a cure. Two years later, after receiving a successful stem cell transplant using umbilical cord blood at Seattle Cancer Care Alliance, she is living cancer free and recovering well, but the difficulty of finding a donor with a 100% matched made her realize the fight had only just begun. “We immediately started research to learn about how matches were found and I discovered that finding a non-related full match is difficult if you are a person of color, especially of mixed race origin,” says Harris, whose background is African American, Filipino, and Caucasian. Having a 100% match is crucial in predicting positive outcomes post-transplant, but the percentage chance of finding a perfect match is skewed against minorities because ethnically diverse and mixed race donors are underrepresented in the registry. Within the United States registry, the likelihood for finding a full match is higher for people of Mexican (37%), Chinese (41%), South Asian (33%), Hispanic Caribbean (40%) and Native American (52%) ancestry than for African Americans, but still significantly lower than the likelihood for Caucasians. The good news, Harris says, is that there are tangible ways to make a real difference—here and now. The UW’s goal is to add more than 2,500 people to the registry over the next year. Be one of the first. Joining is simple: go to Join.BeTheMatch.org/UW and complete the registration online. A few days later, two cheek swabs will arrive by mail. Simply swab and return them in the postage paid envelope. Every person who registers increases the chances that ethnically diverse cancer patients eagerly awaiting news of a perfect match will receive one. Only 1 in 430 on the registry will be a close enough match to donate to a specific patient. So if 2,500 register as part of this initiative, the UW community has the potential to save as many as five lives. 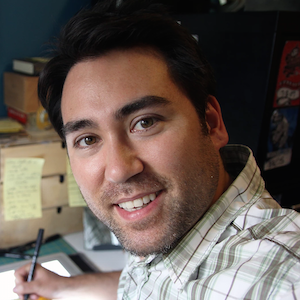 Mixed Match is an inspirational, emotional, and evocative feature-length documentary by award-winning filmmaker Jeff Chiba Stearns that explores the need to find mixed ethnicity marrow and cord blood donors to donate to multiethnic patients suffering from life threatening blood diseases such as leukemia. This live action and animated film is a dramatic journey focusing on the main characters’ struggles to survive against incredible odds. With the help of Mixed Marrow and first-hand stories from patients and their supporters, we hope to spread awareness about the need for multiethnic donors worldwide. Dr. Alexes Harris is a professor of sociology at the University of Washington. Her research focuses on social stratification and inequality with an emphasis on juvenile and criminal justice processing and outcomes. 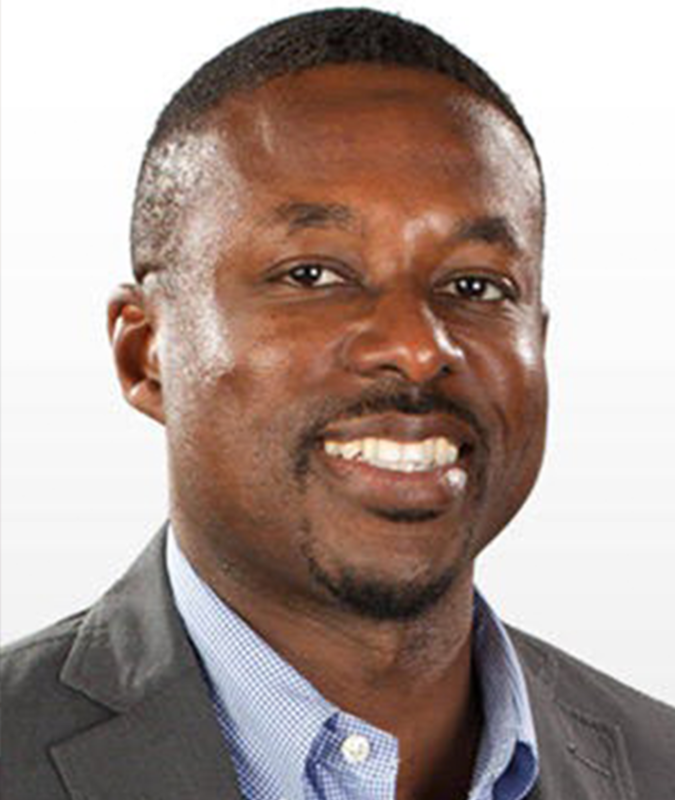 Dr. Harris’ research has been published in a number of academic journals, including The American Journal of Sociology, American Sociological Review, Law and Society Review and Symbolic Interaction. 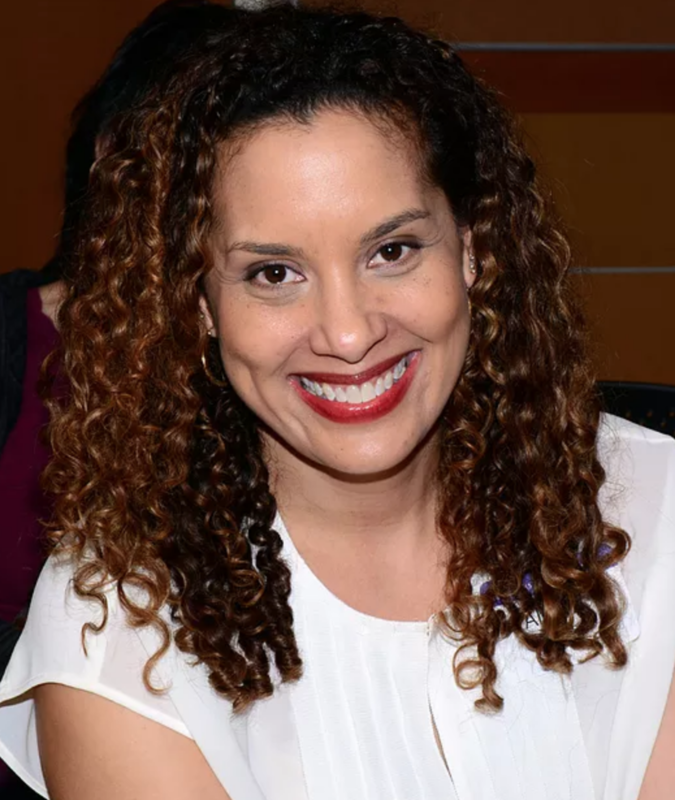 Since 2004 she has taught undergraduate classes on social problems, race and ethnicity and juvenile justice, and senior research practicums on payday lending, monetary sanctions, and sports and higher education. She also teaches graduate courses on qualitative research methods, juvenile justice and teaching sociology. Shondell Reed serves as Washington’s Senior Associate Athletic Director. Reed oversees UW’s compliance staff, as well as the department’s strength and conditioning, equipment, athletic training, sports psychology and nutrition staffs. Reed also serves as sports administrator for seven varsity programs – men’s basketball and women’s basketball, men’s and women’s soccer, men’s and women’s tennis and men’s crew. 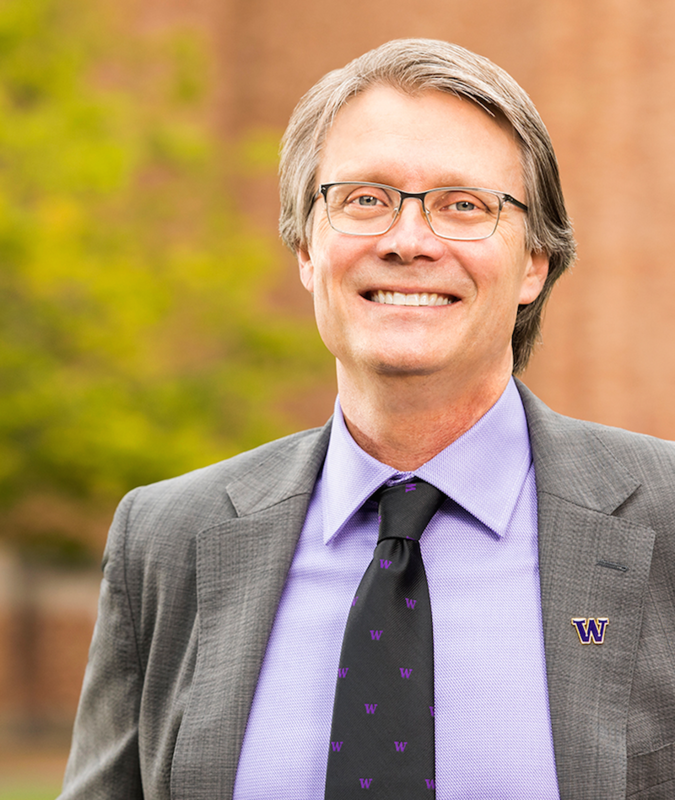 On campus, he is athletics’ liaison to the offices of admissions, student-life, the Attorney General, and the UW Police Department. Actively engaged in intercollegiate athletics governance and policymaking at the conference level and nationally, Reed serves on the Pac-12 Rules Working group and the NCAA Cross Country and Track & Field Committee. 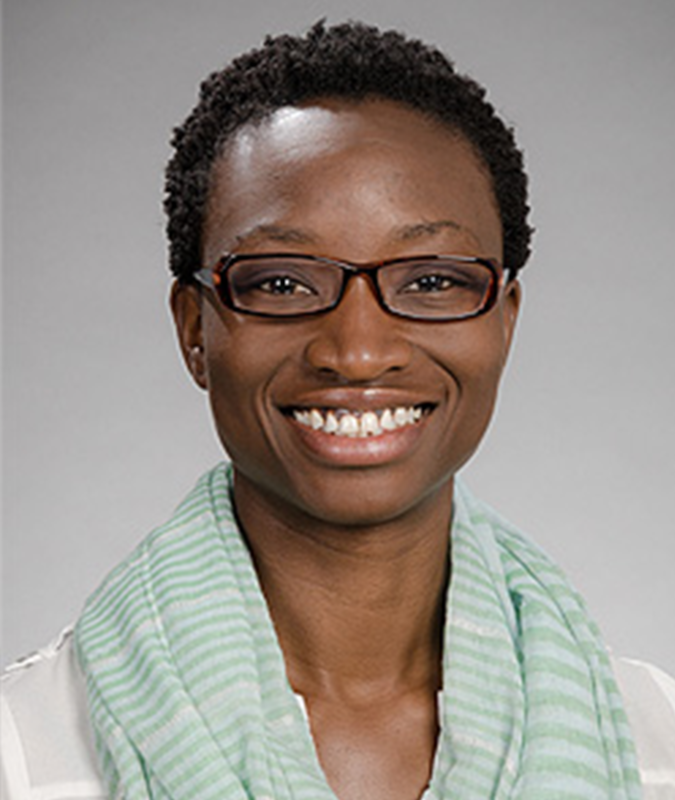 Dr. Kemi Doll is a Gynecologic Oncologist in the UW Department of Obstetrics and Gynecology. She specializes in the surgical and medical treatment of uterine, ovarian, cervical and vulvar cancers. 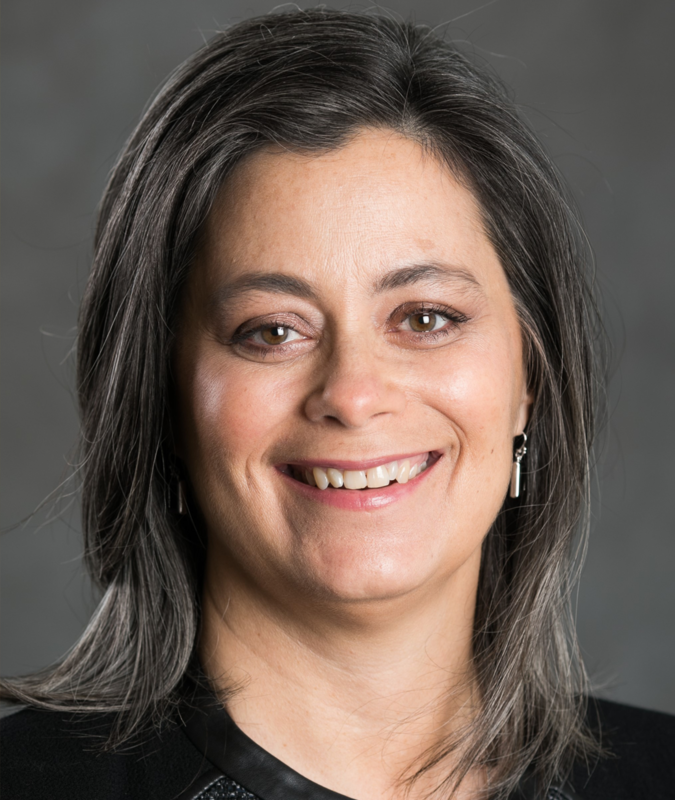 Dr. Doll serves as an Assistant Professor in the Department of Obstetrics and Gynecology and Adjunct Assistant Professor in the Department of Health Services. Her research expertise is in population-level patterns of care, health-related quality of life, and racial disparities. Her current clinical research focuses on identifying modifiable factors that contribute to the Black-White mortality gap in endometrial cancer. Dr. Noonberg oversees clinical and medical strategy—including clinical development, biostatistics, pharmacovigilance, regulatory and medical affairs—for Nohla Therapeutics. Nohla Therapeutics is a leading developer of off-the shelf cell therapies for patients with hematologic malignancies and other critical diseases. Dr. Noonberg is a board-certified physician-scientist that brings over 14 years of leadership experience in clinical development, from initial drug discovery to global regulatory approvals and commercialization. Dr. Colleen Delaney is Scientific Founder and the Chief Scientific Officer, Executive Vice President of Research and Development of Nohla Therapeutics, Inc., a cellular therapy company focused on development of universal, off-the-shelf cell therapies for patients with hematologic malignancies and other critical diseases. 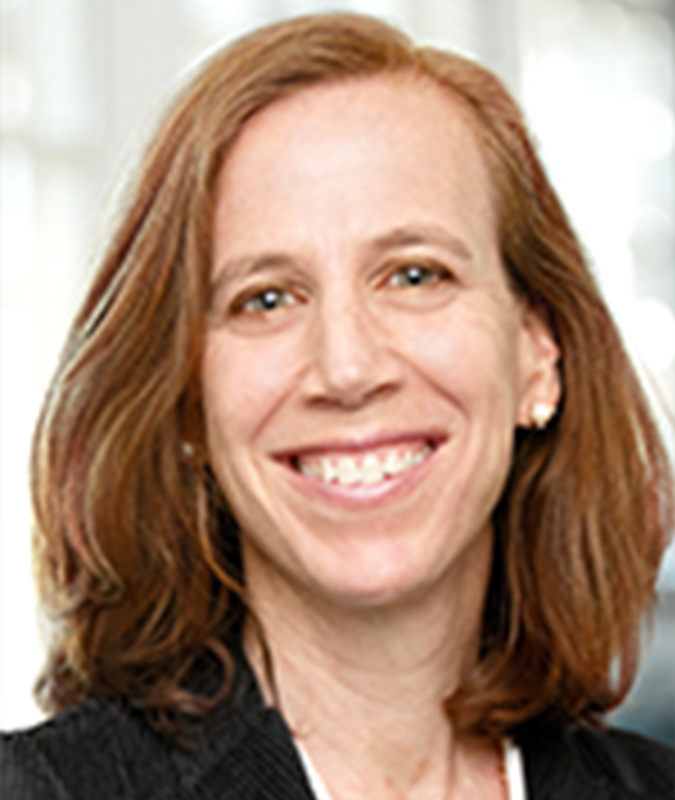 She is a Member of the Fred Hutchinson Cancer Research Center Clinical Research Division, and an Professor at the University of Washington in the Department of Pediatrics, Division of Pediatric Hematology/Oncology. In 2006, she established and became the Director of the Cord Blood Transplant Program at the Fred Hutch/Seattle Cancer Care Alliance, which has grown to be one of the leading programs in the country and the coordinating center of several multicenter clinical trials. All new Be the Match campus programming will be added to the Get Involved Today section at the top of this page. Follow along with us on social media and the Whole U website, and most importantly share with your family, friends, and colleagues!